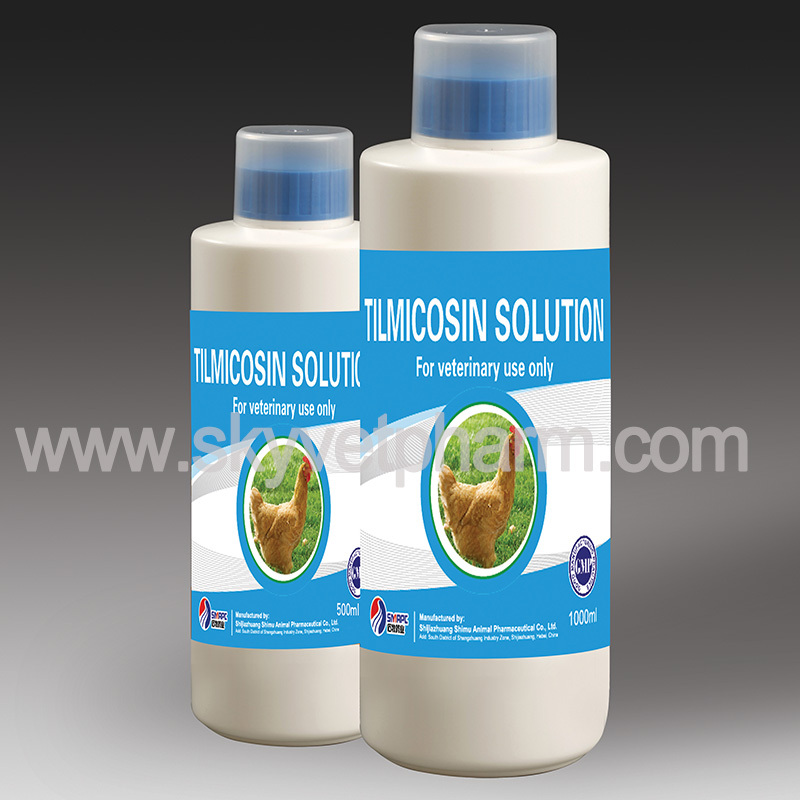 Tilmicosin solution is a semi-synthetic macrolide antibiotic used in livestock and poultry as a precursor to the hydrolysis of tylosin. It was originally developed by Elanco Animal Health Products in the 1980s and is marketed abroad. In China, Eli Lilly sells Mickey Star premix products for pigs. At present, the Chinese Ministry of Agriculture has approved some veterinary drug factories to produce pre-gels, premixes, solutions and injections. Telmicoxin has a strong antibacterial effect, good pharmacokinetic properties, and can also improve animal immunity. In addition, recent research shows that Telmicoxin also has antiviral effects. In addition, there is no cross-resistance with other commonly used antibiotics in clinical practice, and the clinical treatment of various animal diseases has achieved remarkable results. Compared with tylosin, tylosin is an economical, safe and effective antibacterial, growth-promoting new veterinary drug with low dosage, long-lasting effect, few side effects, low residual amount in the body, safe and non-toxic. In complex but not typical animal diseases, it brings new ideas and methods for clinical use. Therefore, telmicosin will play a more important role in controlling livestock diseases in the future, and has broad application prospects. As a leader of veterinary drug companies, we provide low price and high quality products, welcome to contact us.